Because I know having faith and trusting God is easier said than done, I created a free guide with some actual ways to deepen faith in God. 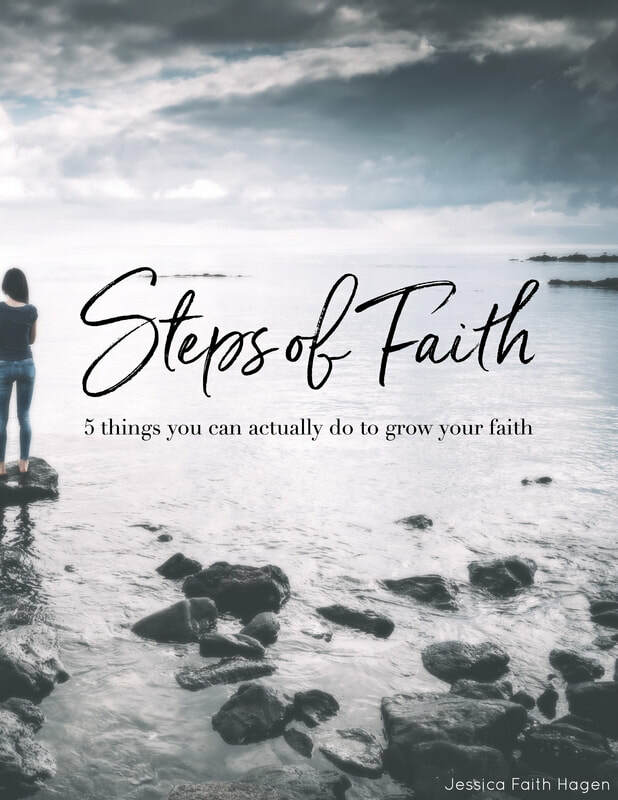 ​Steps of Faith: 5 things you can actually do to grow your faith gives practices to strengthen trust and help you exercise your faith day by day. The Overflowing will use the information you provide on this form to send you updates about new blog posts, resources, and news from The Overflowing and Jessica Faith.You can change your mind at any time by clicking the unsubscribe link in the footer of any email you receive from The Overflowing. We will not sell or share your personal information. For more information about our privacy practices please visit our website.